We have raised over £50,000 at previous balls which has been donated to Cancer Research UK and other cancer related charities such as the Cotswold Care Hospice, MacMillan nurses and the Frenchay oncology unit. We are excited to offer some amazing auction lots at this years ball on July 18th at Waterley Bottom Farm. Lot 5- A cricket bat signed by the Lancashire County Cricket club. 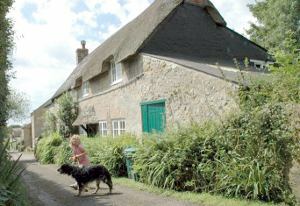 Lot 7- A week at Churchtown Farm holiday cottage near Dulverton, Devon. Situated on a working farm on the edge of Exmoor with easy access to the coast. Sleeps 8 people in 3 large bedrooms. Not available July/August (donated and Charlotte Symes/Richard Tarr). Lot 12- A full squad signed Manchester United Football shirt, donated by Mr Alex Ferguson. 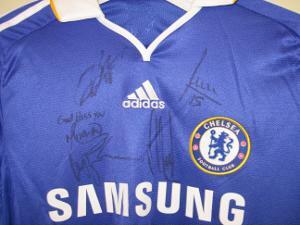 Lot 13- A full squad signed Chelsea shirt 2009 with Chelsea FC authentication certificate. Lot 14- A Liverpool FC shirt signed by Stephen Gerrard. Lot 15- "Birthday Girl" - An original art work by Belinda Downes, an internationally recognised artist based in Wotton. The picture is a mixed medium using fabric, and stitch work and was used as the basis for one of her most popular greetings cards. 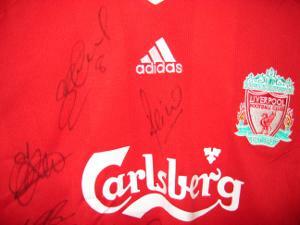 Lot 16- A full squad signed Liverpool shirt 2009. *Lot 17- An original painting by local artist Jane Lampard , painted exclusively for the Strawberry ball ( donated by Jane Lampard).